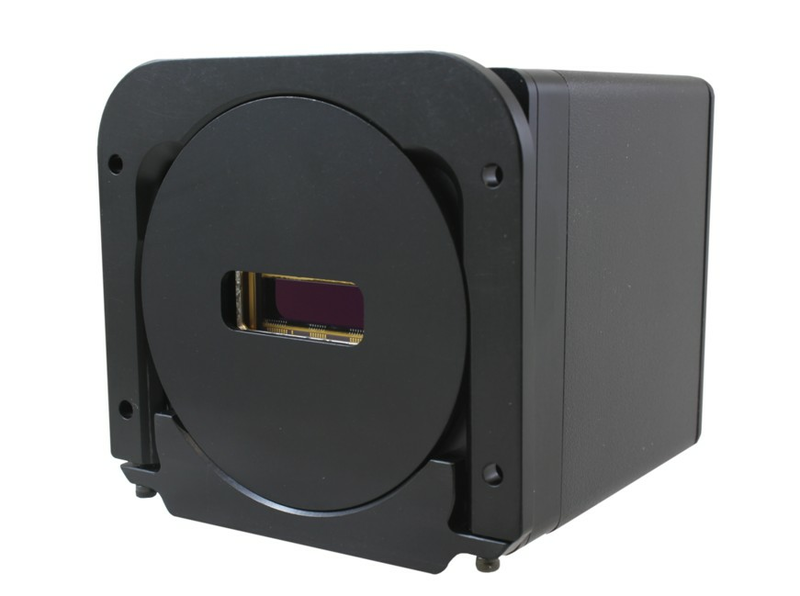 Critical Link is pleased to announce the release of our newest CCD camera equipped with the latest sensor technology from Hamamatsu, a world leader in photonics research and development. The Hamamatsu S11501-1007S is a back-thinned, area scan CCD image sensor with enhanced near infrared (NIR) sensitivity. The sensor’s superior performance at wavelengths longer than 800 nm delivers advantages for photometric applications beyond the previous generation of CCDs. This sensitivity is enabled by the unique MEMS structure on the back of the sensor, created using Hamamatsu’s proprietary laser processing technology. In addition to its advanced NIR sensitivity, the sensor’s binning capability makes it an optimal choice for detectors in Raman spectroscopy. The binning operation enables higher signal-to-noise and signal processing speed than traditional methods using external circuits to add signals digitally. Critical Link’s decision to build a camera around the S11501-1007S was an easy one since the sensor is pin compatible with it predecessor, the S7031-1007S. Our high performance CCD camera platform, known as the MityCCD, provides on-board image processing with both a DSP and FPGA available for algorithm development. The MityCCD software offers an easy-to-use interface for image setup, acquisition, viewing, and data analysis. Visit Critical Link at Photonics West booth #630, or contact via info@criticallink.com to request additional detail or to inquire about ordering. Syracuse, N.Y.-based Critical Link (www.criticallink.com) is an embedded systems engineering firm, offering a broad range of customizable imaging solutions for OEMs and systems integrators working on medical, scientific, surveillance, and industrial applications. Our end-to-end product engineering offerings include design, development, prototyping, and production. Critical Link is ISO 9001:2008 Registered by SRI Quality System Registrar.